Just about anything taken to its logical extreme falls apart. The torta ahogadas (“drowned tortas”) of Guadalajara are an example of that. 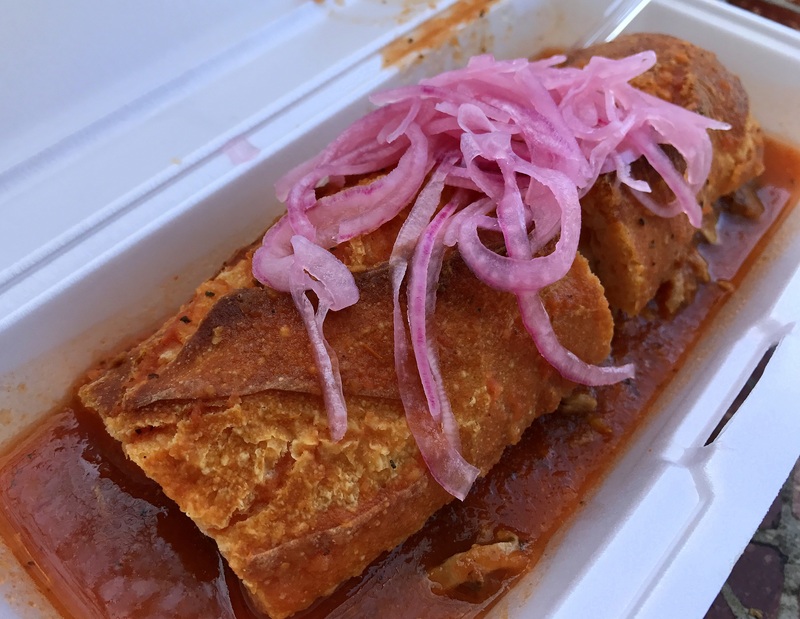 They take the Mexican torta to its logical extreme, and they certainly fall apart. However, there is definitely nothing wrong with that. In fact, that’s a good thing. One of the best places to find out why is the El Gallito (1008 Industrial Blvd.) 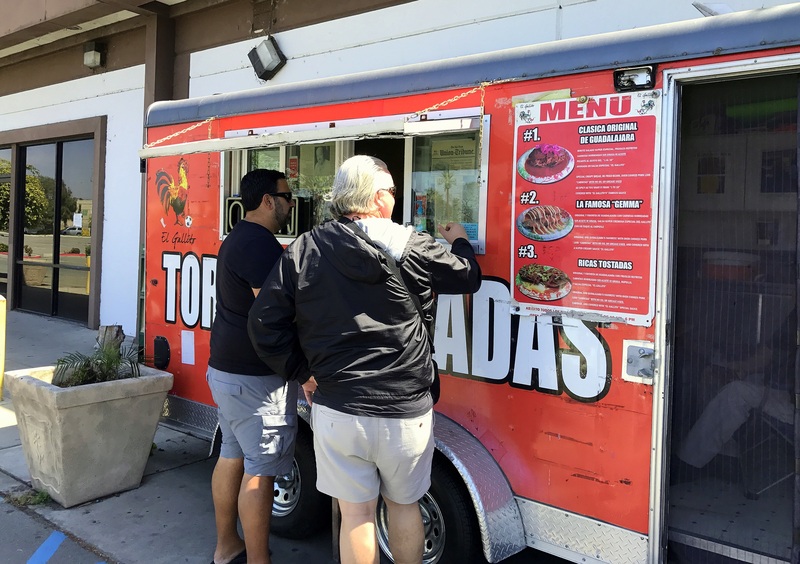 torta truck permanently parked in a Toys “R” Us parking lot in Chula Vista.